I recently installed the latest BIOS for my motherboard and something is seriously wrong with it. I have a Samsung 970 PRO SSD and my userbench score after updating went to preforming well below expectations. I reverted back to v1.60 and now they're back to normal. My system felt sluggish in general. I was wondering if anyone else experienced the same issue? Problem solved: I couldn't find my USB stick the first time around thus used Windows to flash. Apparently, that's a big no-no. I flashed via instant flash and everything is fine now. Although some users on the official AsRock forums are still reporting the problem even though they used instant flash. I'm wondering if ASRock may have fixed 1.80 and stealthy changed the download. Last edited by teegale; 12-19-2018 at 12:39 AM. 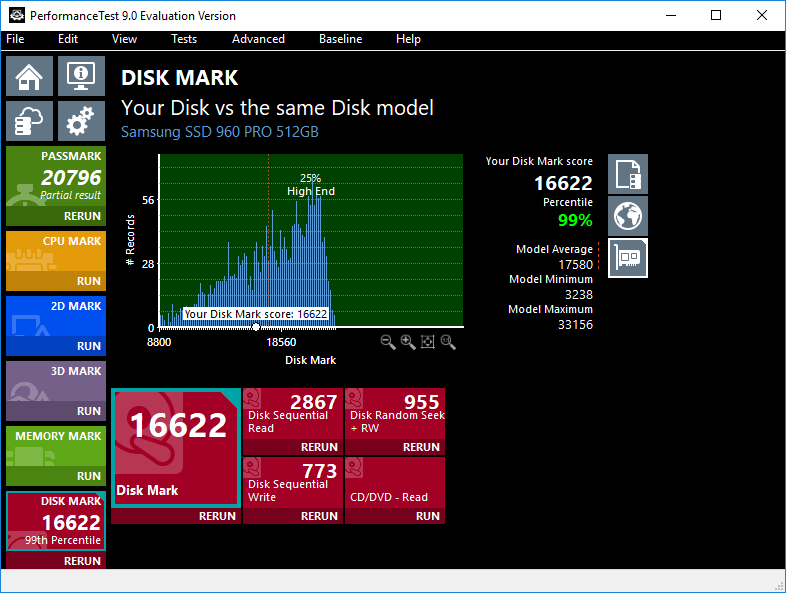 "I have a Samsung 970 PRO SSD and my userbench score after updating went to preforming well below expectations." How did you get the score? Which benchmark tool do you mean? I have the same motherboard and am running the v1.80 BIOS. Can you share what your benchmark speeds were before (when it was slow) and after (after you fixed it). I want to see how my speeds compare to yours. I have both a NVMe Samsung 960 Pro and NVMe Samsung 970 EVO. I've since re flashed 1.80 and everything seems to be fine now, although many users on the AsRock forums are still reporting issues regarding their NVME SSD's on that version. I have no idea what the deal is but everything is fine for me now. Here is the comparison for 1.60 and 1.80 after everything was sorted out. Where is it that people are talking about this issue? I'd like to see the other forum traffic on the topic. Some people are having the issue, others are not. It's very odd. Last edited by teegale; 01-04-2019 at 01:56 AM. One other thing to consider. There are a number of programs now that offer "ransomware protection" for your disks. For example, I have MalwareBytes as my anti-virus and it offers that. I use Acronis as my backup solution and it has "ransomware protection" too. 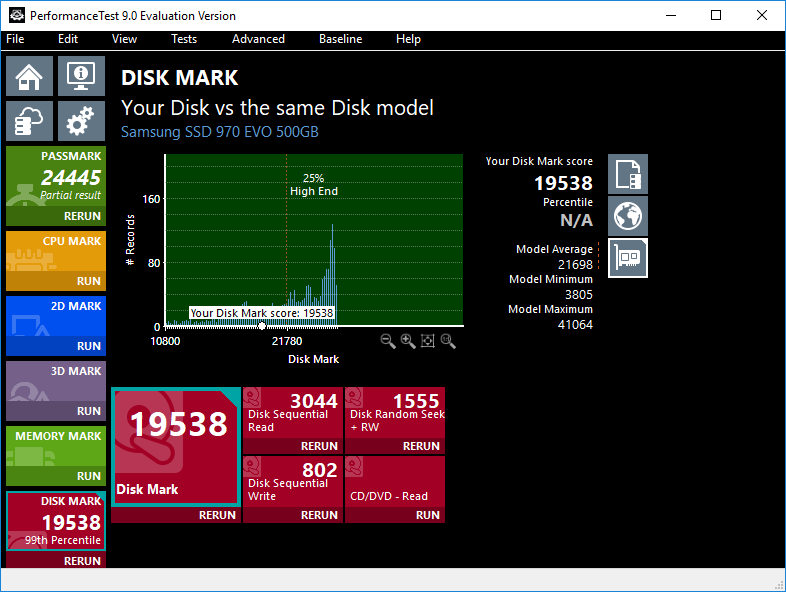 I found that both of those really slowed down my disk benchmarks by as much as 20% as apparently they are inserting themselves into the write chain to check everything that's written to disk. I'm not saying what one should do with this ransomware protection, but it does appear to slow things down. Last edited by jfriend00; 01-17-2019 at 10:01 AM.